Looking for the adventure of a lifetime? For adventurous souls seeking a real adventure, The Grand Tour of the Nordic Countries combines the best of the Nordic countries in one customizable, comprehensive holiday! Enjoy the smorgasbord of exceptional landscapes, diverse wildlife, vibrant cities, and the rich history of Nordic cultures. This holiday presents unique Nordic attractions such as: Viking remnants; royal palaces; scenic railways; majestic fjords; waterfalls and geysers; Inuit culture and floating icebergs. The Great North Tour begins at Helsinki-Vantaa Airport where you are greeted and escorted to your hotel in the heart of Helsinki, Finland’s bustling capital. For those who arrive early, we recommend buying the Helsinki Card, which grants free entry to major city attractions and museums as well as unlimited travel on public transportation. After your complimentary breakfast at the hotel, spend the first part of your day exploring more Helsinki attractions such as Senate Square, Uspenski Cathedral, Parliament House, Finlandia Hall, the New Opera House, or the Sibelius Park and Monument. Later, spend an enchanted evening on the Baltic Sea as a cruise ship whisks you away to Stockholm, Sweden’s stylish capital. Take full advantage of the on-board amenities such as cafes, restaurants, and shops and then spend the night in one of the ship’s comfortable cabins. Savor the maritime scenery during breakfast as your cruise ship navigates through Sweden’s Archipelago, a collection of over 30,000 islands and inlets. After pulling into the harbor at Stockholm, a city built on 14 islands, you will head to your centrally-located hotel. Indulge in a savoury breakfast at your hotel before venturing out to see more of magnificent Stockholm. 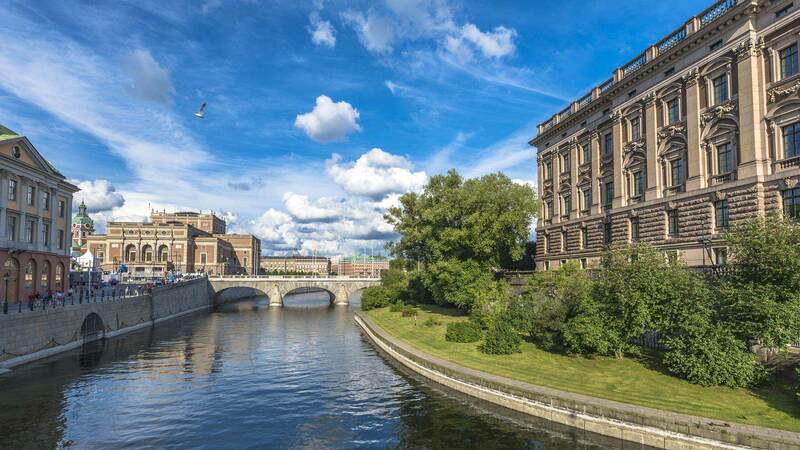 We recommend a visit to the city’s charming Old Town with its narrow alleys and well-preserved medieval houses or a guided tour to the Viking mounds in nearby city Uppsala. Enjoy the afternoon at Fjäderholmarna, the closest of Stockholm’s Archipelago islands, where you can partake in a guided tour, browse the local handicrafts, and enjoy an authentic Swedish dinner at your choice of restaurants. After a tasty Scandinavian breakfast, it’s time to board the train for Copenhagen. Enjoy the scenery of Southern Sweden as you envision the exciting activities that await you in Denmark! Once you’ve arrived and settled in at your hotel in Copenhagen’s centre, we recommend a stroll down the famous “Ströget” street for some world-class shopping or a bite to eat at one of its many cafes and restaurants. With so much to do in Copenhagen, we recommend the Copenhagen Card, which provides free admission to over 60 museums and free travel on the city’s buses and local trains. 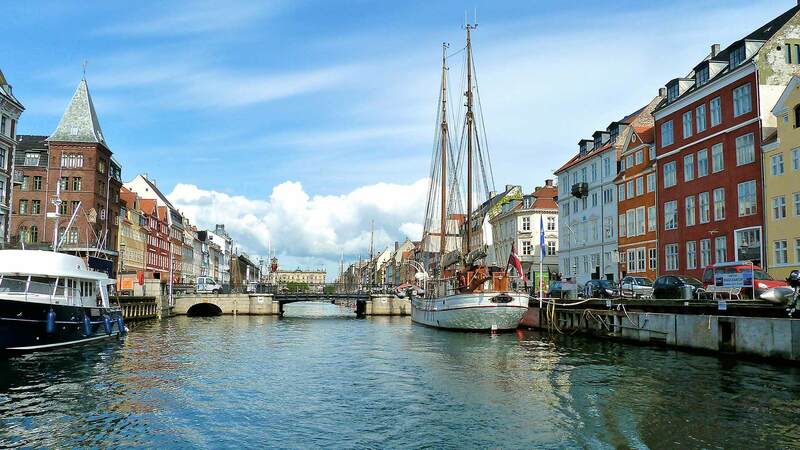 Copenhagen is home to such marvels as the Amalienborg Palace, Christiansborg Palace (home to Danish Parliament), the old harbour of Nyhavn, the famous Little Mermaid statue, and much more. No visit to Copenhagen is complete without a trip to the Tivoli Gardens, one of the world’s oldest amusement parks and among the city’s most famous attractions. After breakfast at your hotel, we recommend the insightful self-guided tour of the historic Carlsberg brewery, only 3.5 km by bus from central Copenhagen. After sampling this popular beer at the end of your tour, you can decide for yourself if you agree with their slogan: “Carlsberg, probably the best beer in the world”. In the afternoon check in for your cruise to Oslo. The ship cruises gently up the Kattegat Sund on its way to Norway’s capital city. Take part in the dancing and entertainment on board or just relax and watch the sunset from the deck. Today is yours to explore Oslo after arriving to the scenic Oslo fjord early in the morning. From your hotel conveniently located in the heart of Oslo, you have easy access to many of Oslo’s top attractions. Bask in the cosmopolitan glow of Bogstadveien, Oslo’s busy shopping street, or simply unwind in one of Oslo’s lush parks before dinner at a cozy restaurant of your choice. 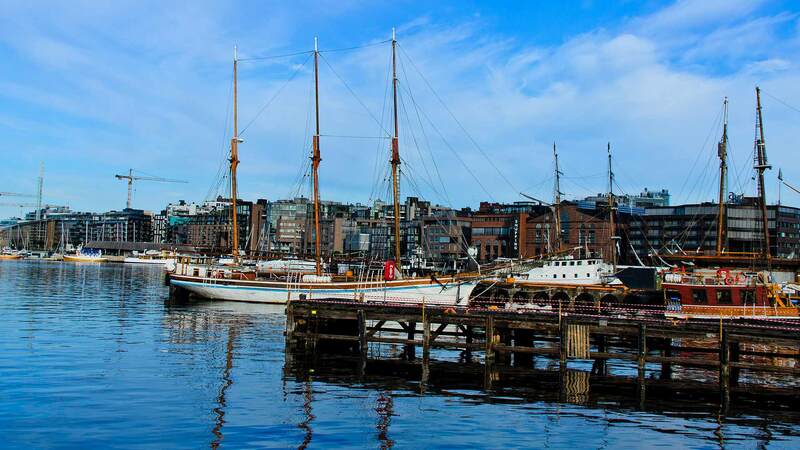 Take advantage of this diverse city with the Oslo Pass, which provides unlimited travel on all public transport, free admission to over 25 museums, and discounts on many other attractions, restaurants and shops. We recommend a visit to the Holmenkollen Ski Museum and Jump Tower, the Viking Ship Museum, Vigeland Sculpture Park, the Royal Palace, Akershus Fortress, or the historic Arctic expedition ship “Fram”. Enjoy an early breakfast and arrive at Oslo Central Station to board the Bergensbanen train that winds though Norway’s breathtaking mountainous terrain on its way to Bergen. 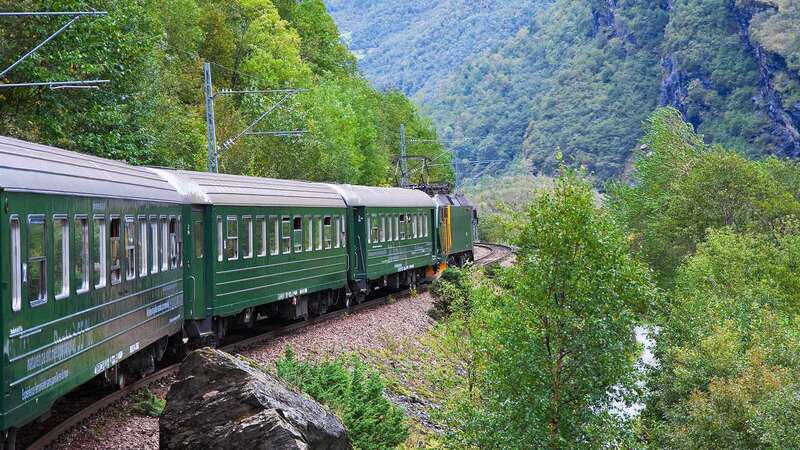 This railway, voted one of the 20 best in the world, takes you through the charming villages of Gol and Geilo before a stop at Myrdal to switch trains. The next 20 km of the journey is on the world famous Flåm Railway, which descends nearly 900 metres to the charming village of Flåm, where the night is spent surrounded by the towering mountainsides of the Aurlandsfjord*. Honoured with the title of European Capital of Culture in 2000, there’s no shortage of activities in Bergen, Norway’s second largest city. Visit Bryggen, a UNESCO World Heritage site, which dates back 900 years as a major Hanseatic trading centre. Get a glimpse of local culture at the lively Fish Market or ride the Floybanen Funicular to Mount Floyen to enjoy the stunning views of the city. We also recommend an afternoon ride on the mini-train sightseeing tour around the city centre. 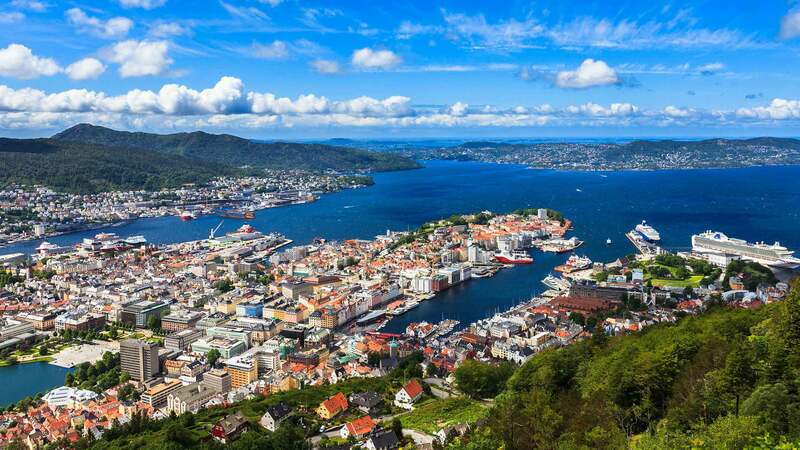 The first half of your day is free to appreciate Bergen’s historic charms before boarding the return train to Oslo. Once more, relax to the gentle rumbling of the train ride as while being surrounded by the world’s most beautiful scenery*. Upon arrival in Oslo, the rest of your evening is free to explore the city’s many restaurants, cafes, and nightclubs. After breakfast at your hotel, take the opportunity to explore more of Oslo before heading to Gardermoen Airport for your flight to Reykjavik, the capital of Iceland. Arrive at Keflavik Airport, where you are greeted and assisted to your hotel in central Reykjavik. This small city, is ideal to explore on foot as most attractions are easily within walking range of your hotel. Why not sample some Icelandic cuisine at one of the city’s many restaurants after all of that walking? Iceland is perhaps best known for its otherworldly volcanic landscapes and unique natural phenomena. 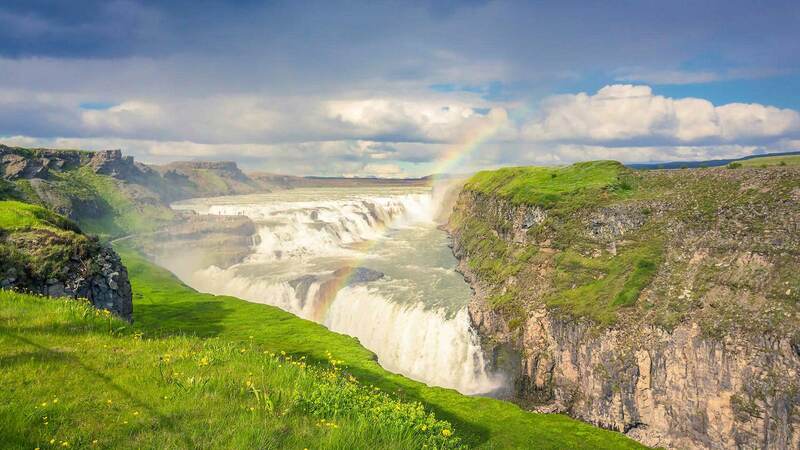 Today we present you with the must-see Golden Circle Tour, which is a guided bus tour that combines the wonders of Þingvellir National Park (a UNESCO World Heritage Site), the powerful Strokkur geyser, Gullfoss waterfall, and other geological sensations. 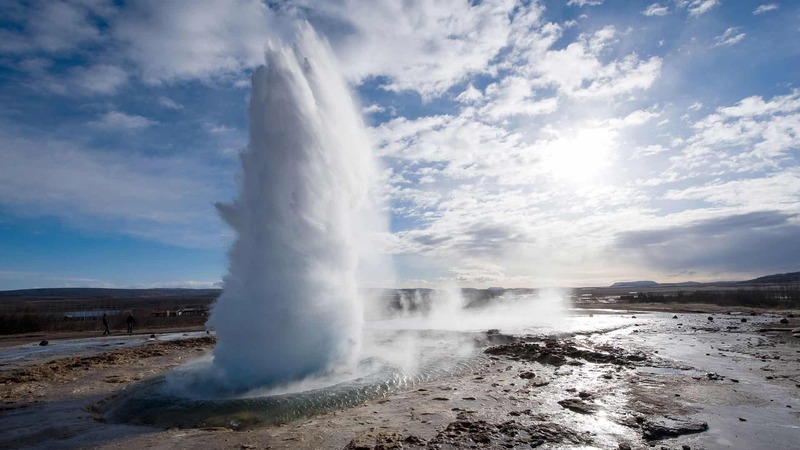 Revitalize your mind, body, and spirit the Icelandic way! Begin the day with a relaxing visit to Iceland’s treasured Blue Lagoon, a natural geothermal spa renowned for its therapeutic, mineral-rich waters surrounded by moon-like lavascapes. After a thorough soak, enjoy the afternoon in Reykjavik as you please. Depart from Reykjavik Domestic Airport for a flight to the Arctic village of Ilulissat, situated at the mouth of the 56 kilometre-long Ilulissat Icefjord—a UNESCO World Heritage Site. If it‘s a sunny day, you can enjoy the wonderful view over the Greenland ice cap from the plane. Upon arrival, you will be transported to your accommodation, where you will meet a representative from our trusted supplier. 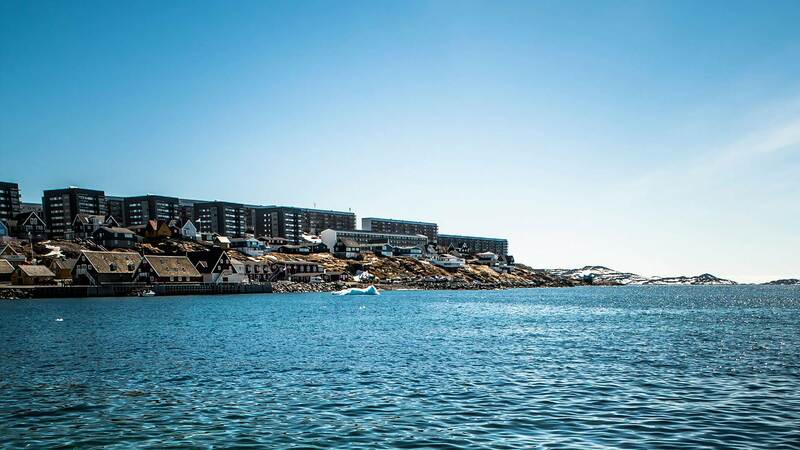 They will take you on a walking tour around Ilulissat to get to know the region and learn about the history of the town. In the evening, you will be treated to an included 2-course welcome dinner. Spend the night in Ilulissat. These next two days are free for you to choose your own adventure! You can pick from a wide range of exciting optional excursions, including a helicopter ride over icebergs, a motorboat tour to the Eqi glacier with its enormous chunks of calved ice, or cultural demonstrations and village walks, whale watching safaris or excursions to the small, remote settlements in the area. Note: We recommend booking the optional activities in advance through your travel consultant at Nordic Visitor, though you may also book activities at your hotel in Ilulissat during your stay. You can enjoy today exploring the town of Ilulissat, and will have the opportunity to do some souvenir shopping. A popular gift is a “Tupilak”, an Inuit version of a talisman/voodoo doll. Traditional tupilaks were sculpted into tiny creatures inspired by Inuit mythology. You can also choose to enjoy another day of optional activities in Ilulissat. For a truly incredible experience, we recommend an evening boat tour along the Icefjord, in which you will sail among icebergs as big as office buildings under the rosy glow of the midnight sun. And for hiking enthusiasts, the Sermermiut Valley, which is just a few kilometres from town, offers spectacular views from a number of well-marked trails. You will return to your accommodation and have an included 3-course dinner. Today it’s time to say goodbye to this majestic island, but you still have time to take a stroll around the town or do some last-minute souvenir shopping. On the return flight to Reykjavík in the afternoon, enjoy the stunning views once again over the Ilulissat Icefjord and its surrounding landscapes. As your holiday draws to a close, why not make the most of this day in vibrant Reykjavik? Join a guided city tour, shop for an authentic “lopapeysa” sweater, enjoy a whale watching cruise, or just enjoy a steaming coffee at one of Reykjavik’s many midtown cafes? Adventurous types may enjoy the rush of adrenaline from a 4x4 super-jeep glacier tour, which provides an once-in-a-lifetime experience only a few hours’ drive from the capital. These tours and other activities can be booked at your hotel. We would like to thank Nordic Visitor for our well planned and organised trip. With so many forms of transport and hotels to book, we felt it was best to use an agency. Our whole trip ran like clockwork and the information provided as part of our itinerary was invaluable ensuring we got the most out of our time in each city. Thanks again to Jennie and Cecilia. Our trip was well-planned and we had all the information we needed to make it hassle free from the different connections throughout the countries we traveled. The choice of hotels was excellent as they were centrally located to both sightseeing and public transportation. We highly recommend to any traveler to Scandinavia utilizing the planning services of Nordic Visitor. Thank You for a fun, interesting and most enjoyable vacation. Overall the experience was very good and am absolutely satisfied. Thanks for everything. The itinerary can change without notice due to weather conditions. In the rare event that an activity is cancelled, you will be refunded for that activity.